Summer is the season for traffic accidents, according to regulators at the National Highway Traffic Safety Administration (NHTSA). While this may be surprising – especially to people who live places impacted by harsh winter weather conditions, below, we’ll reveal some of the primary factors behind this phenomenon. 1 – More inexperienced drivers are on the road for longer periods of time. Here’s why summer is the season for car accidents, an experienced Littleton car accident attorney explains. Contact us if you’ve been hurt in a car accident. Summertime means that school is out and, consequently, that more teens who have just gotten their drivers’ licenses are also be out on the roads. In fact, some research has found that, during the summer, inexperienced teen motorists spend about 40 percent more time driving. Given that teens tend to lack defensive driving skills and that they are behind the wheel more often during the summer, the risk of accidents involving these drivers naturally increases during this season. 2 – More riders, cyclists and pedestrians share the roads during summertime. Just as summer brings more teen drivers to the road, so too does it bring a number of other travelers onto the roads. From motorcycle riders to bicyclists and pedestrians, there is simply far more traffic on the roads during the summer. Given that riders, cyclists and pedestrians can be difficult for drivers to notice (especially during rush hour and/or on heavily trafficked roadways), again, it’s no wonder that car accidents skyrocket during the summer. 3 – More highway work crews are set up working on the roads. While U.S. roadways tend to be more cluttered with drivers and other travelers during the summer, they also are typically populated with more highway work crews during this season. In fact, road crews are far more likely to be peppered on the roads during the summer when the weather is nice and they can repair roads or finish roadway additions, especially in regions where their work comes to a stop during the wintertime. Given that highway work crews can add to the complicated driving conditions that motorists may already be confronted with the during the summer, it, again, seems to underscore just why so many more car accidents occur during the summer (as compared to other seasons). 4 – Your vehicle equipment is more likely to malfunction in the heat of summer. Even if you are a very careful and experienced driver who is ready for the more complicated driving conditions that come with summertime, your vehicle may not be prepared to stand up to the heat of summer, which can increase the risk of vehicle equipment malfunctions. In fact, the heat of summer can increase the risks of tire blowouts, engines overheating and other equipment malfunctions, any of which can reduce motorists’ ability to control vehicles and, in turn, increase the risk of motor vehicle accidents. Are you shocked to find out that summer is the season of car accidents? Post your opinions and comments on our Facebook & Google+ pages. 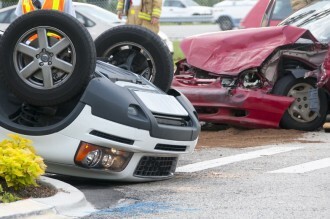 Have you been hurt in a car accident caused by negligence? If so, it’s time to contact an experienced Littleton car accident attorney at Bahr, Kreidle & Flicker. To set up a meeting with one of our lawyers and find out more about how we can help you, call us at (303) 794-7422 or email us using the form on this page.